Manufacturers are the perennial sources from whence the streams of retail flow into the banks of customers, giving fulfillment and happiness to them. Without the source doing its job right, the streams will dry or produces water that is no longer useful to the civilizations that rest on the bank, hoping to reap the fruits of harvest. The metaphor clearly shows the importance of clothing manufacturers – and the good thing is that in this case, the retailers (streams) can decide on which perennial source to choose from. Therefore, knowing what makes a good manufacturer or (a bad one) would more or less allow them to choose the fate of their business. Clothing manufacturers’ number one point that makes all the difference today is a custom design department that works full force. The time to stack catalogs with many similar looking designs is gone and more and more retailers are looking to take the creative way out of it – by suggesting and coming up with unique designs that they can ask the manufacturers to refine and incorporate in their bulk orders. MOQs or minimum order quantities show how much of an involvement a manufacturer is likely to show with small to mid-size retailers. Some of the manufacturers have non-negotiable and high minimum order quantities, and even if they are the best, they are not the right one for your small to mid-size business. On the other hand, there are many on the top rungs of clothing manufacturers USA and these companies have negotiable MOQs, which makes them approachable by all sizes of retail enterprises. This is more likely to be the pick that will deliver you during good times and bad, something that every stream needs from its source – water in droughts and otherwise! All of this could go wrong if your manufacturer does not have the right kind of quality that makes your clients go gaga over your collection. This should always be taken care of, because what is the point if the water that gushes down isn’t sweet enough to drink or potent enough to irrigate. Bad manufacturers do not employ designers or people of that sort – because they never bother to move away from the same catalog or quality that they produced the previous years. However, they are often deceitful to retailers, who are enticed by the low wholesale prices – but low doesn’t always mean good. 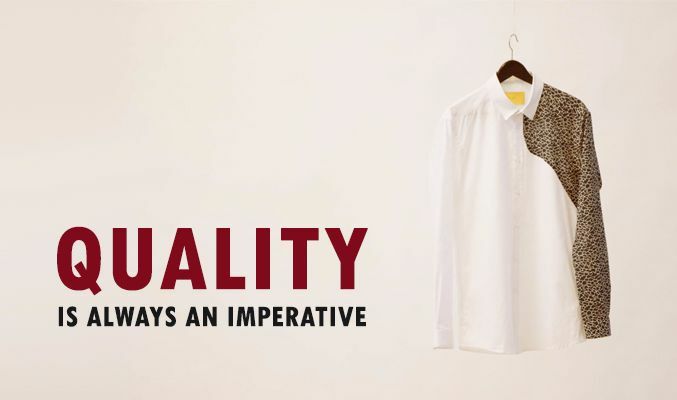 On the other hand, progressive producers of clothing keep profits low, but since they use quality raw material their prices remain a bit on the higher side. 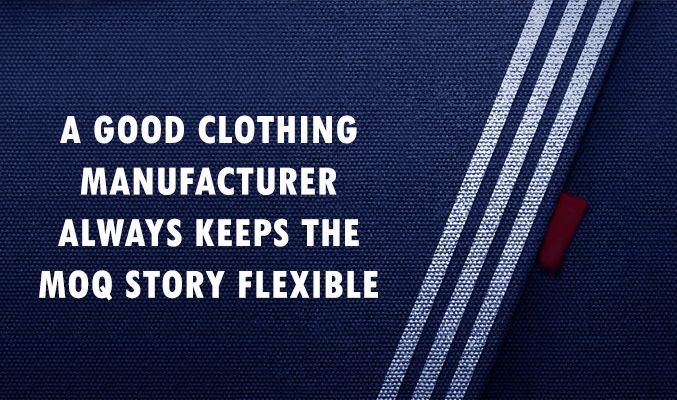 These are the things that make a good (or bad) clothing manufacturer, but now, since you have given this blog a read, picking between the two will be an easy deal for you. So, what are you waiting for? Share your points or get in touch with a perennial source that will drive your sales graph towards fertility!